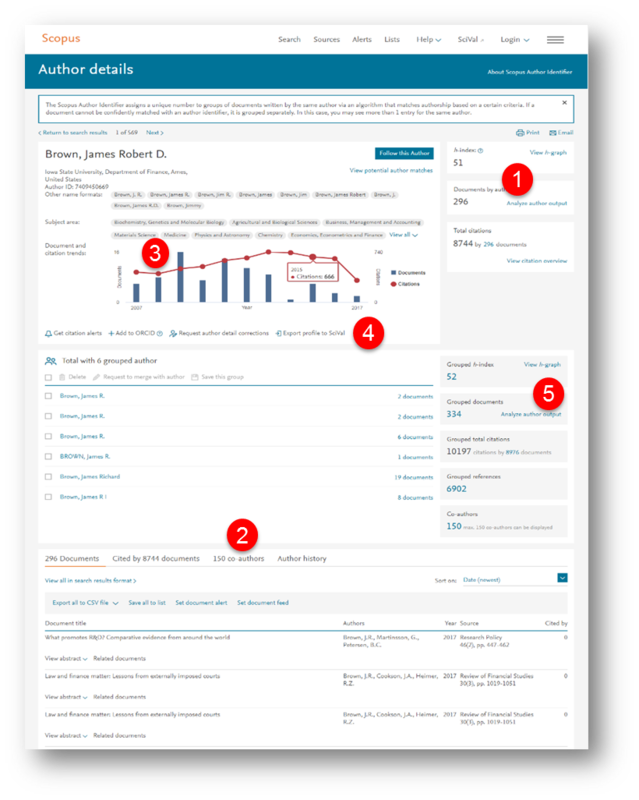 The advanced search page has been simplified by organizing field codes into categories and by displaying field codes by their long names. For example, AU-ID and AUTHLASTNAME are placed into a category named Authors, and the AUTH field code is now displayed as Author (AUTH). This change eliminates the need to memorize field codes, as well as helps you to discover new field codes without consulting the help text. After the first CiteScore annual values were released in May 2017, the process for gathering publisher feedback was established. A complete feedback workflow was proposed, shared and agreed upon with 18 publishers (including Elsevier). The recalculated metrics were announced on Friday, December 1, 2017. As a result of recalculation, the CiteScore 2016 was corrected for 133 titles, in addition to 26 titles being removed and 14 added. Titles were identified and corrected based on feedback from internal and external publishing houses, along with internal analysis. The total number of titles with a CiteScore 2016 is now 22,606, reduced from 22,618 in June 2017. All 22,606 titles had their CiteScore percentiles recalculated and the differences were slight, with only 29 titles having a percentile change of +/- 2% or more (27 of which were for the positive). The top three publishers that saw changes in CiteScore metrics were IEEE, Emerald and Elsevier. IEEE saw the most CiteScore changes, due to a large amount of duplicate document counts, with 21 titles increasing and 22 titles decreasing in CiteScore metrics. Emerald had 11 titles corrected, most for the positive. And Elsevier had 6 titles increase their CiteScore, while 1 title decreased. New subject area display method: Subject areas are now displayed in “bubbles” and are all immediately visible. CiteScore Rank now shown for all subject areas: Previously, it was necessary to select the category from the drop down, displaying only the sub-category. New Export functionality: In the CiteScore Rank & Trend, it is now possible to export the table data in csv, and the charts as images in a zip file. Please note, this feature is only available for users who are registered and logged in. 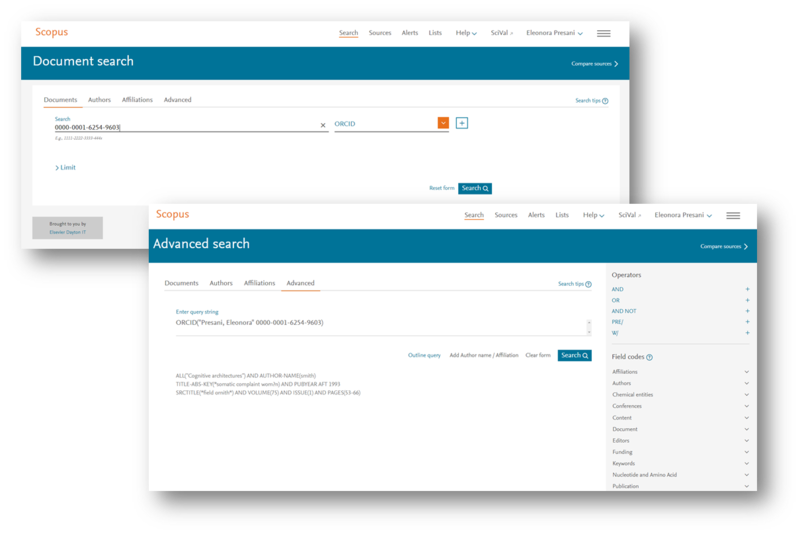 It is now possible to search for documents by an author’s ORCID number, as long as the author has associated their Scopus profile with ORCID. This is available both on basic search and advanced search. In addition, the search can be combined with more codes and logic operators to create a more complex search. 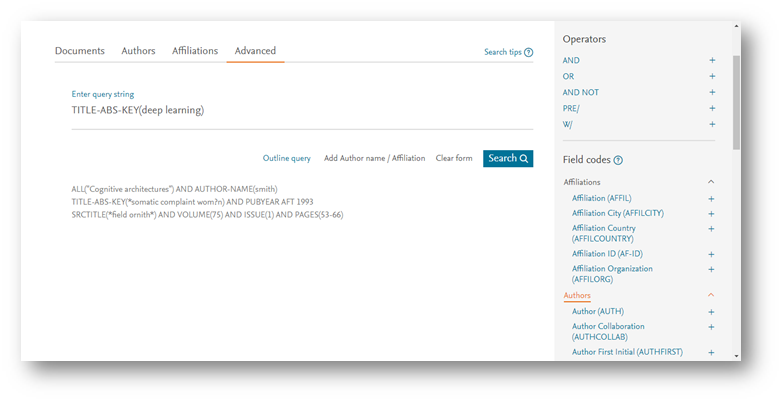 In line with the changes made to the Scopus affiliation details page, the author details page has undergone a similar change. The information hierarchy has been adapted to provide an optimal overview and navigation for all key author information. Author’s h-index, document count and total citations count have been moved to their own separate cards on the right side of the page. Each card will also contain their respective analysis tool link. The author’s co-authors can be viewed via the “co-author” tab below their main profile info section. The author’s document and citation overview graph has been moved to the main profile info section. All data points in the graph remain clickable and will redirect the user to the respective results overview page. 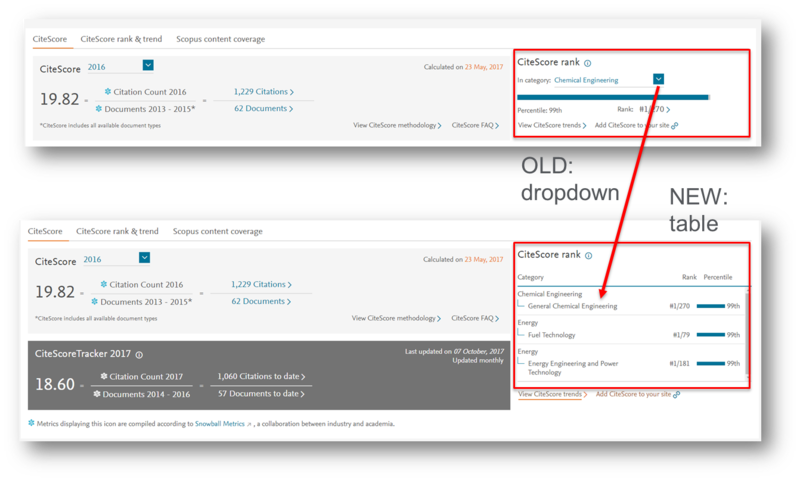 The “set citation alert,” “follow this author,” “request author detail correction” and “export to SciVal” links have been moved from the right-hand side to the main profile information section. The “grouped author” section has been redesigned and it will have its own right-hand side cards for h-index, documents, citations, references and co-authors.